The first snowfall of the year is always exciting, isn’t it? You love crunching through the snow, making a snowman and hefting snowballs at your brother. By March, though, you’re probably tired of the snow and ready for spring. Have you ever wondered how snow is made, though? 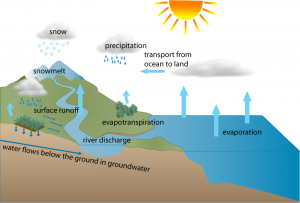 Snow occurs when water vapors in the air freeze before they can turn into water. This happens when the temperature in the clouds is very cold. Snowflakes are made up of crystals of ice that have formed around bits of dirt in the air. The snowflakes start out very small and grow. Each snowflake is different and might contain up to 200 crystals. How is snow made? Snow occurs when water vapors in the air freeze before they can turn into water. This happens when the temperature in the clouds is very cold. 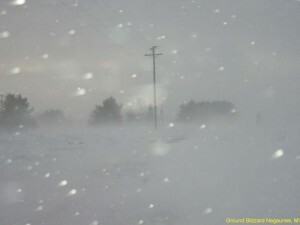 Blizzards bring snow, strong winds and cold temperatures. They can last for several days. A blizzard happens when cold air sits near the Earth’s surface, while warm air sits above it. This mix of air combined with lots of moisture makes a blizzard. Blizzards bring snow, strong winds and cold temperatures. They can last for several days. Sleet is tiny rain particles that freeze on their way down. Brrr! Have you ever noticed a thin, white layer of ice crystals on the ground in the fall? This is frost. It happens when the air temperature drops below freezing and water droplets freeze. 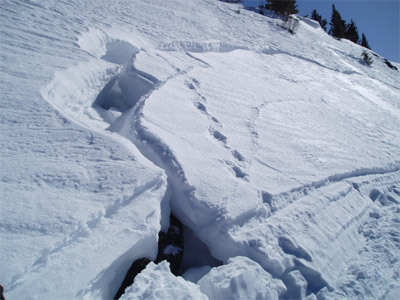 Avalanches happen when unstable sheets of snow break off a mountain slope and race downward in a river of snow. Avalanches can move faster than 245 miles per hour. 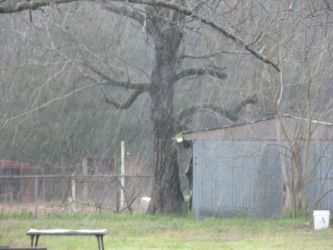 Sleet is tiny rain particles that freeze on their way down. Read on to know more about how snow is made. 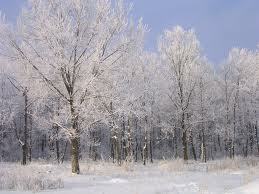 Frost happens when the air temperature drops below freezing and water droplets freeze. Avalanches happen when unstable sheets of snow break off a mountain slope and race downward in a river of snow. A video about snow forming. Question 1: Can snow be dangerous? Answer 1: Snow is lots of fun to play in, but it can be dangerous sometimes. Staying outdoors too long can cause frostbite. Roads are usually very slick during snowstorms. During the storm, it’s best to stay inside. Make sure you have some emergency supplies, like extra food, water and candles. Play board games, drink warm drinks and make some soup. Once the storm is over, you can bundle up and play outside. Question 2: Can it be too cold for snow? Answer 2: You may hear people say it’s too cold for snow. This is not true, it can snow at extremely low temperatures providing that there is some moisture in the air. Question 3: What was the heaviest snowfall recorded in the US within 24 hours? Answer 3: Silver Lake Colorado back in 1923 recorded the most snowfall in the US over a 24 hour period. It accumulated a massive 193 centimeters or over 6 feet. Imagine all that snow in such a short time. Question 4: Where in the world gets the most Avalanches? Answer 4: In Europe the most avalanches occur in the Alpine regions in France, Austria, Italy and Switzerland. In the US the most avalanches occur in Alaska, Utah and Colorado. Any country that experiences heavy snowfall can be at risk of an avalanche. Question 5: Can you eat snow? Answer 5: Yes you can once it’s fresh but always remember the saying “never eat yellow snow”. I will leave that to your Mom Dad or Teacher to explain. Question 6: Are all snowflakes different? Answer 6: Yes every snowflakes is different. No two snowflakes are identical just like no two people have the same fingerprints. Enjoyed the Easy Science for Kids Website all about How is Snow Made info? Take the FREE & fun How is Snow Made quiz and download FREE How is Snow Made worksheet for kids. For lengthy info click here. Declan, Tobin. " Fun Snow Facts for Kids ." Easy Science for Kids, Apr 2019. Web. 18 Apr 2019. < https://easyscienceforkids.com/how-is-snow-made/ >.